Its streets are covered by oaks drizzling with Spanish Moss, beautiful gardens, cobblestone streets, and a charming architecture and ambiance It's the heart of one of the most beautiful cities in the world, and it was just about a 5-hour drive away from home. The lovely Historic District of Savannah, GA captivated my heart...and my lens! Although I visited during the very hectic St. Patrick's Day weekend, I must admit that beneath all the chaos, lied very peaceful surroundings. How can you not love Savannah? Gorgeous! The beautiful architecture, most of which dated as far as the 1800's, are far beyond what I expected them to be. I was very much impressed at the details of these gorgeous historic homes. Subtle, rich colors, sandstone steps, cast iron gates, and gorgeous brickwork, are some of the features that had me at...wow! I truly, and honestly, can't wait to go back! I really wish I could be able to share in this post, all the gorgeous images I took and all the places I got to see, in and around Savannah, but I don't want to make this a HUGE, long post. So for the time being, I'm sharing some of my favorite images from the streets of Savannah, and other must-see places that made me fall in love with this beautiful city. Simply breathtaking! It was live oaks and Spanish Moss heaven in Wormsloe. With its very peculiar beauty, I thought this historic home could be a perfect set for a horror movie. Did You Know? 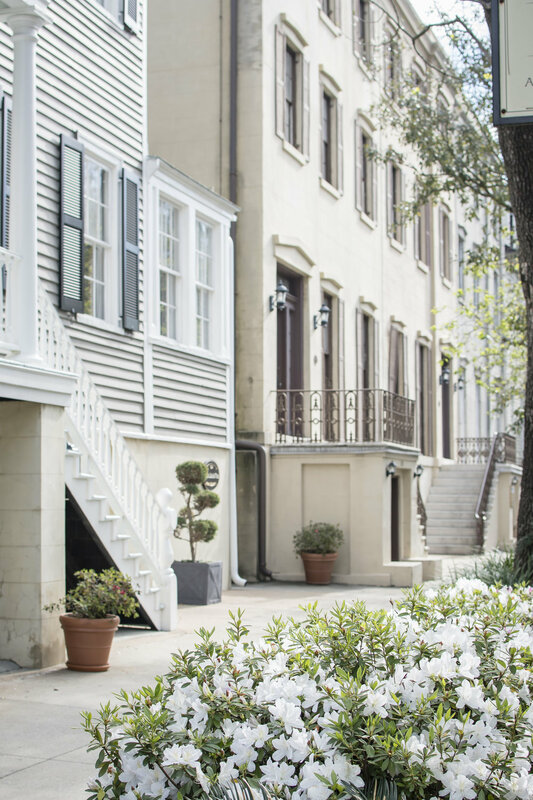 Jones Street was voted one of the most beautiful streets in North America by Southern Living. And it truly is! 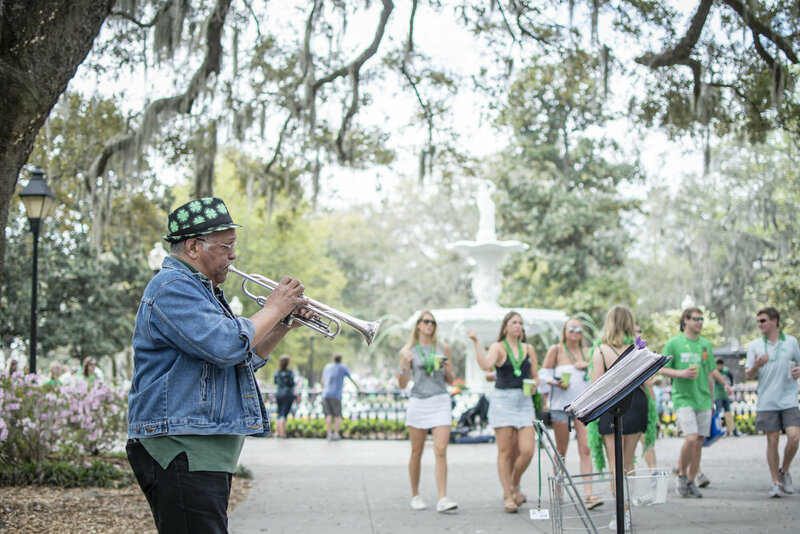 The St. Patrick's Day celebration in Savannah, GA was in full swing! 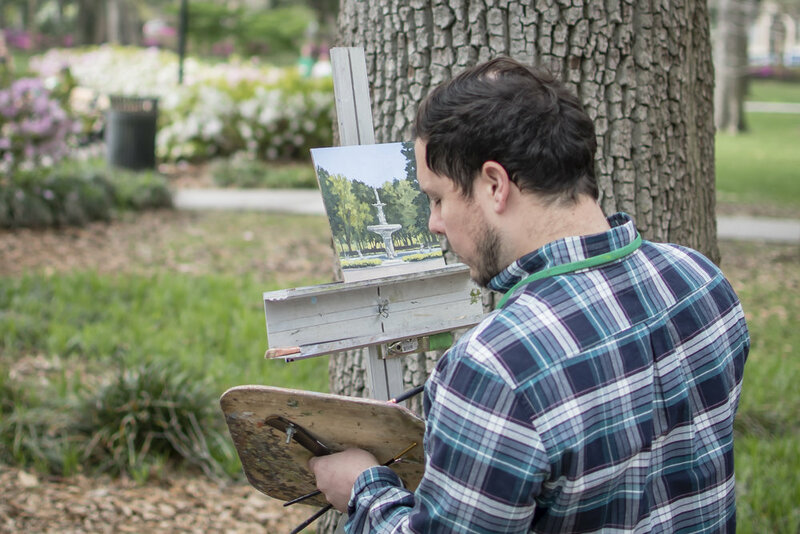 A local artist was painting the fountain located in Forsyth Park. The all so beautiful, Forsyth Park Fountain, was also in the spirit of the St. Patrick's Day celebration with hints of green-colored water. Even The Savannah College of Art and Design has its charm.